Give your plants the best for healthy growth right from the start with the easy-to-use Vertafort Growth Booster Tablet! The Vertafort Growth Booster Tablet is an organic growth booster that contains everything your plants need for optimal growth. Essential bio-stimulants, beneficial microorganisms and amino acids support optimal and healthy growth during your plants’ entire vegetative phase. 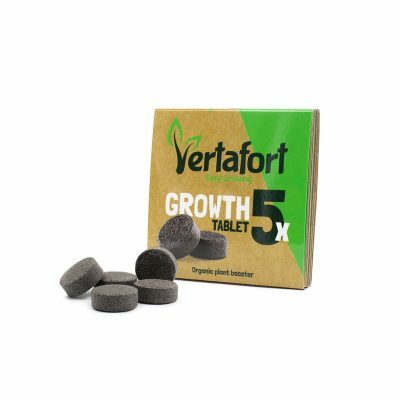 Give your plants the best for healthy growth right from the start with the easy-to-use Vertafort Growth Booster Tablet!